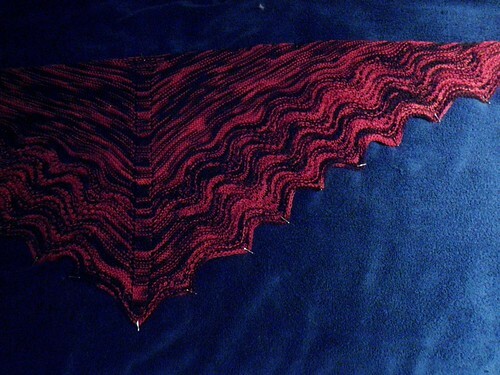 I have been on a shawl kick as a late & I am not sure why because honestly I don’t wear them. But they are so fun & interesting to knit. I love the color of your Damson. I have had the Multnomah in my Queue for ages hopefully I will eventually get around to it. I have lots of sock yarns, well that is about the only kind of yarn I do have. 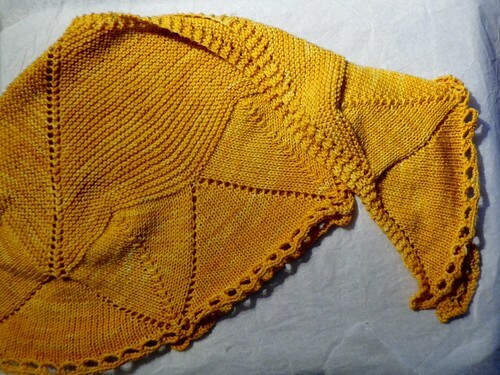 The shawlettes are a great idea to use the yarns and make such nice gifts! I love the ones you have knit.